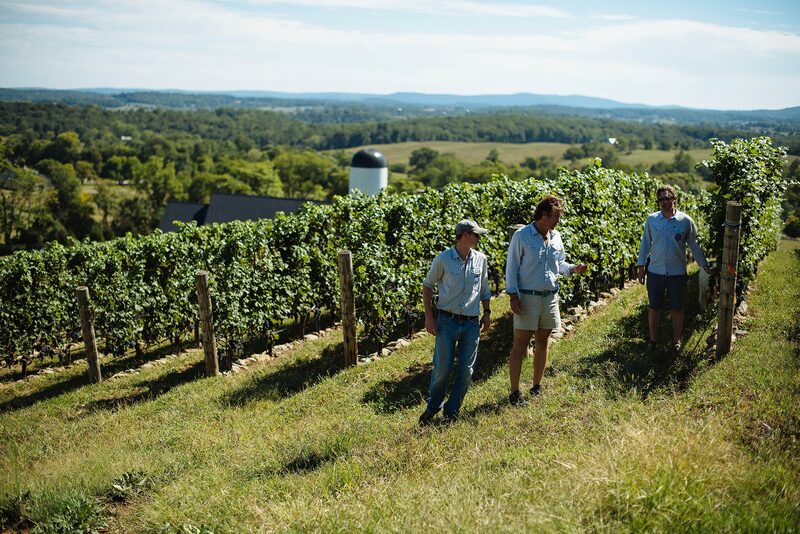 The vigneron and owner of Virginia-based RdV Vineyards works toward his ambitious vision for creating the next great American wine. The sun has not yet breached the horizon and Rutger de Vink is well into his first hour at work. It’s early autumn, right before harvest starts in earnest—a time of heightened anticipation and worry and joy experienced simultaneously. Rutger arrives early today, as he does each day during this critical pre-harvest period. This is his vineyard and the many decisions he makes today will have a lasting effect on the still unformed 2016 vintage. His mind is full of the many intricate details of running his operation (which also bears his initials, RdV): the status of the 11 blocks of grapes that blanket his 16 acres of rocky Virginia hillside; the coming week’s weather forecast, which will help him decide whether he can let the grapes linger for another few days in the sun, or whether he will need to harvest right away to get ahead of the rain; the quality and texture of the skins and the flavor of the ripening fruit; and the laborious early stages of fermentation, which is just underway with the first of the merlot picked last weekend. 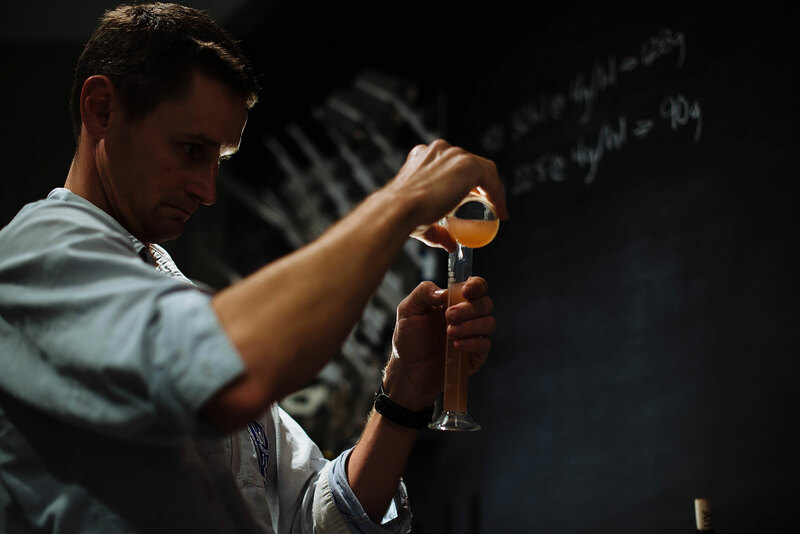 He is consumed with the details because that is just the kind of person he is, one who has thrown himself into the art of winemaking with the same kind of meticulous determination that led him to the U.S. Marine Corps and business school at Northwestern. At last, in wine, he has found a passion worthy of lifelong pursuit. 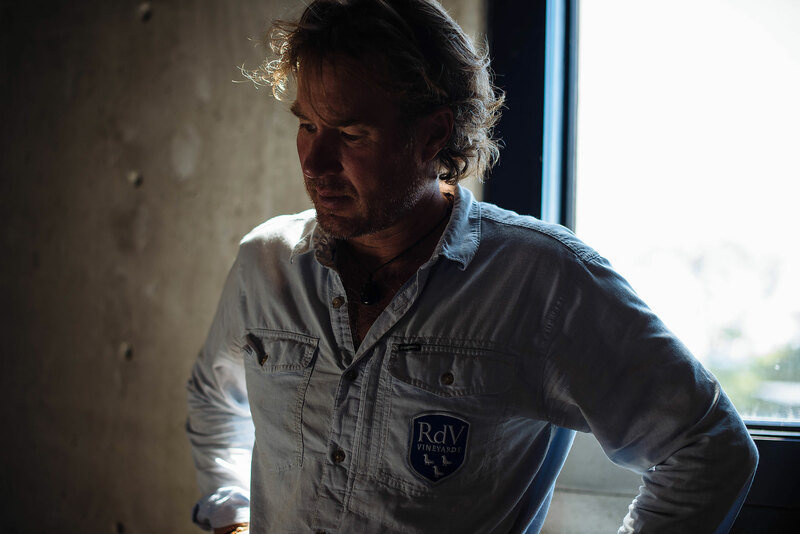 Though RdV has released only its sixth vintage, which makes it a veritable baby in vineyard years, Rutger and his team are already making enthusiasts and experts take notice. What’s remarkable is not that their Bordeaux-style blends are good (excellent, really) but that they are made in an area that has never been known for world-class wines. 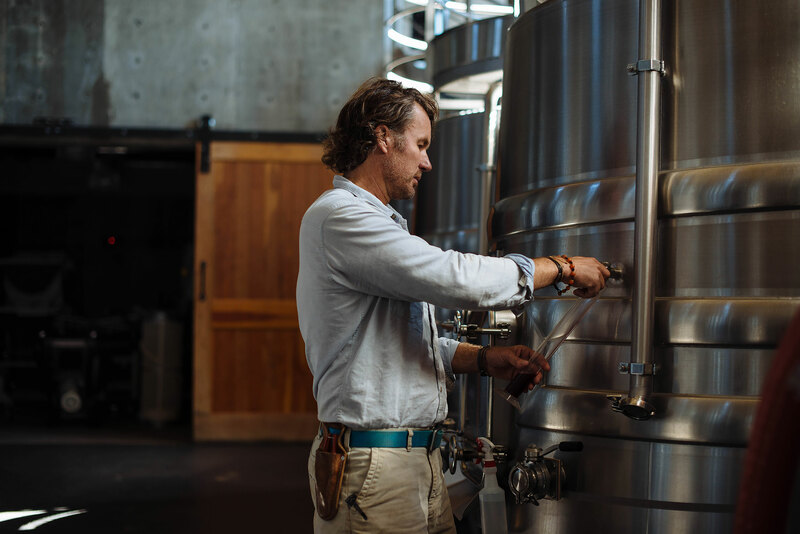 Even after scouting beautiful swaths of land along the Sonoma Coast in the famed Russian River Valley, Rutger kept finding his way back to Virginia. 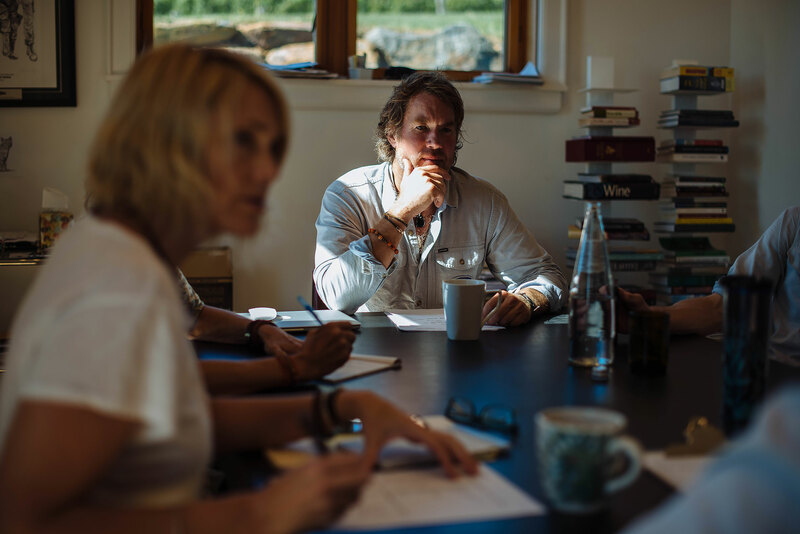 There was something appealing about the rough, rocky, landlocked hills, a dare waiting to be met in the damp, unpredictable climate and the warnings from the skeptics. 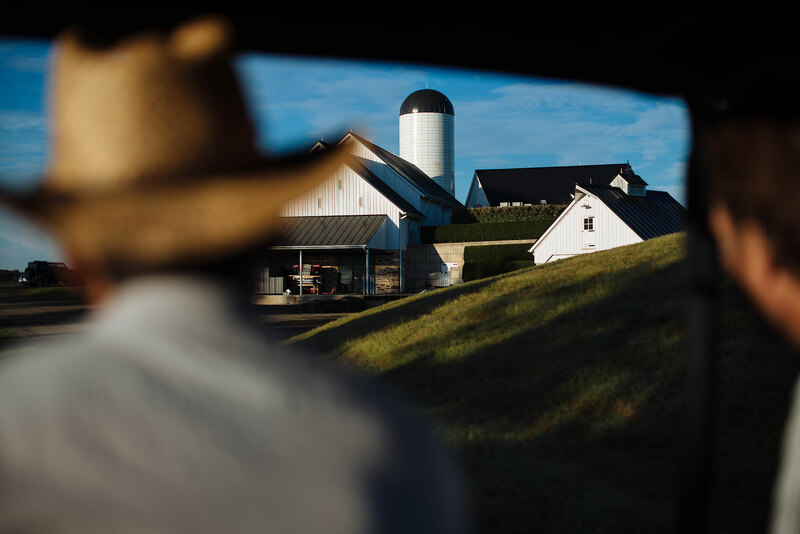 He staked his claim on a parcel of granite-infused land in the foothills of the Blue Ridge Mountains—only an hour west of Washington, DC but a world apart. 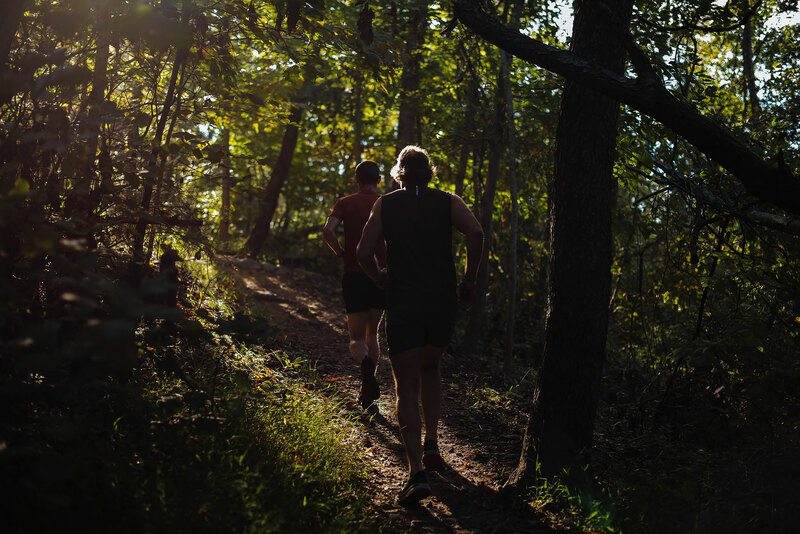 On this day, in the relative calm before the frenzy of harvest, he is getting ready for a 5-mile run along a beautiful stretch of the Appalachian Trail. 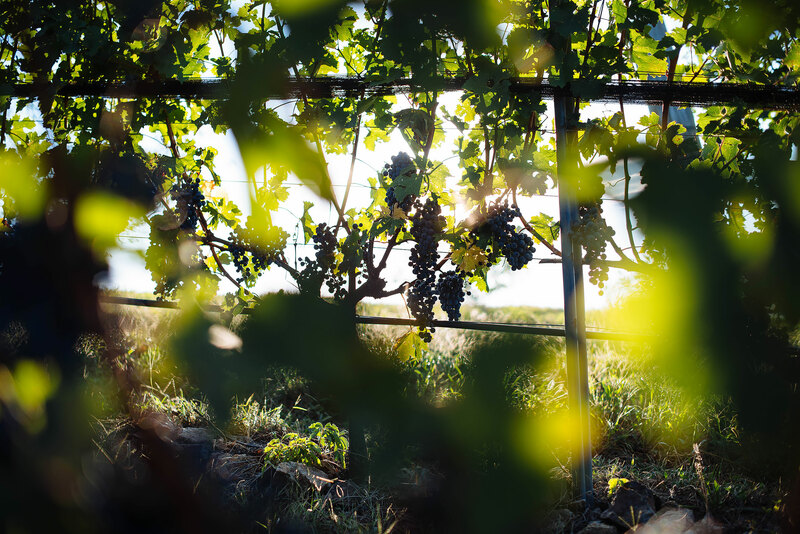 Later, he will take time between the myriad vineyard-related tasks to eat lunch on the patio with his team and catch a few quiet moments with his family. His personal life and business life tend to blend together here, which is the way he likes it. It’s clear that for Rutger, tending RdV is the antithesis of the office job he gladly abandoned years ago. It’s a way of life. 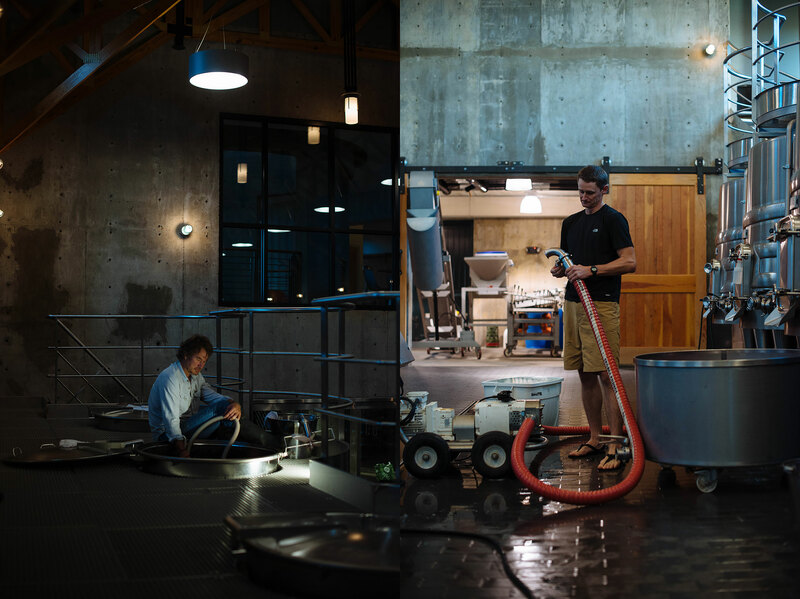 6:10 AM The farm is quiet, but the lights are on in the fermentation room where Rutger and RdV Winemaker Joshua Grainer have started the day’s work. 6:30 AM Rutger perches on the metal catwalk that gives him a perfect view into the stainless steel tanks filled with newly fermenting grapes. 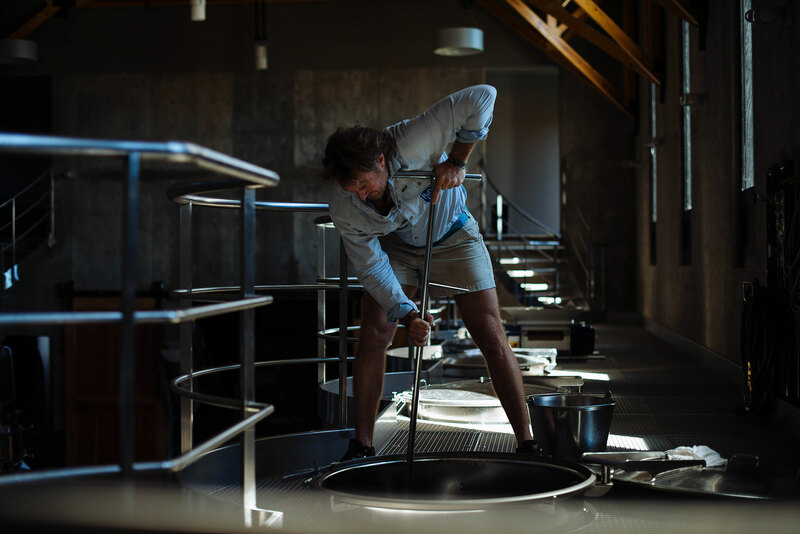 He and Joshua are in the process of doing pump-overs, or remontage, which involves moving the fermenting grape juice from the bottom of the tanks up to the top, submerging the cap of floating grape skins to extract color and flavor. 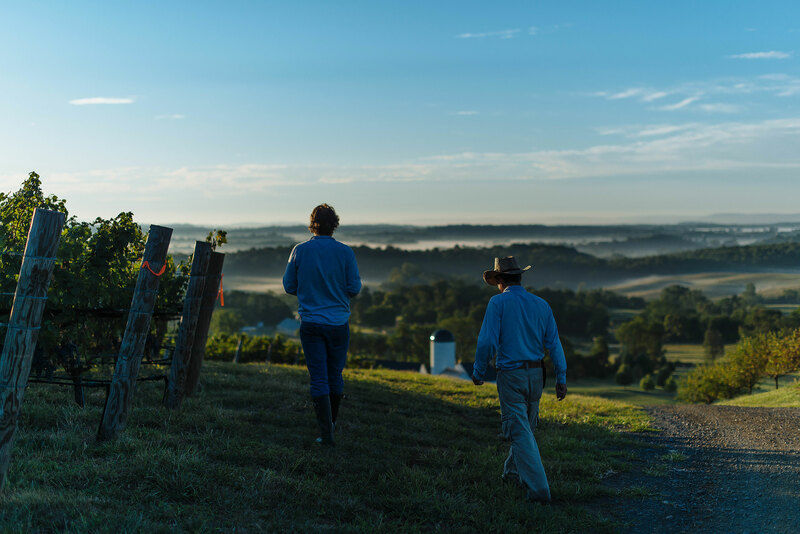 7:32 AM Rutger heads out to the fields with Gabriel Flores, his Vineyard Manager. 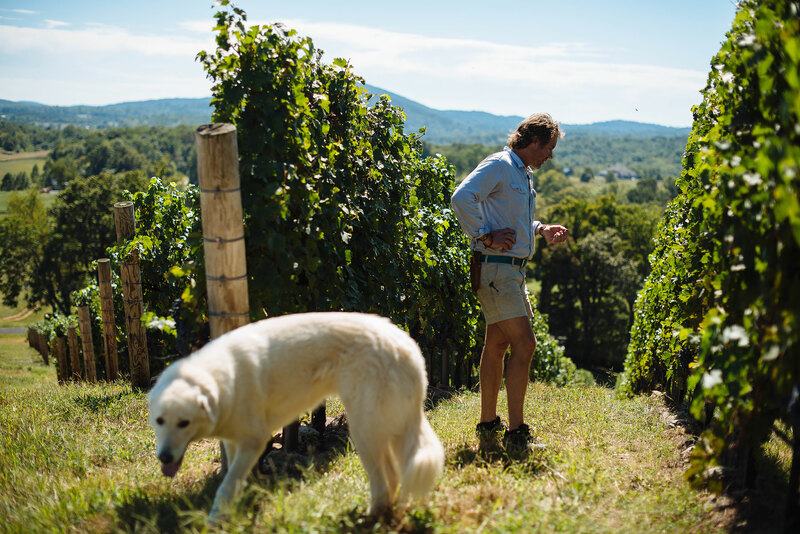 Rutger and Gabriel walk to collect samples of grapes in several vineyard blocks. 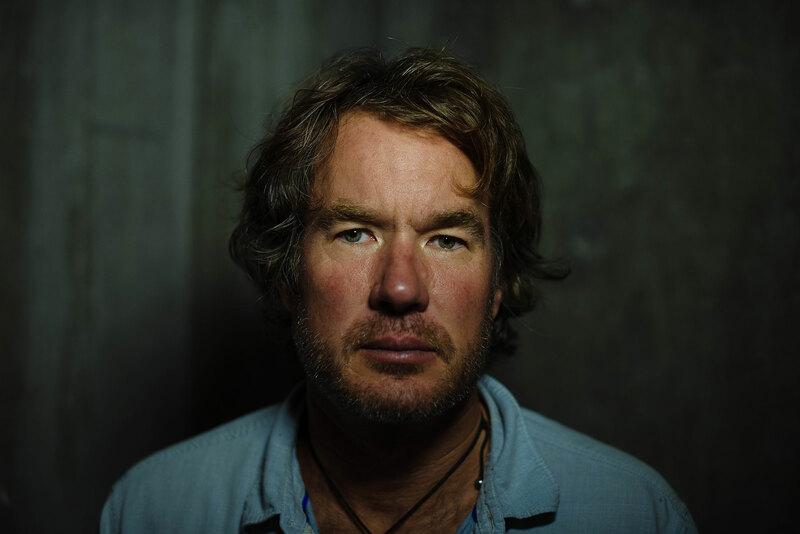 Later, the samples will be analyzed to help Rutger and his team determine when to harvest. Clusters of Cabernet Franc hang from the vines in block 6, also known as Seven Silos. 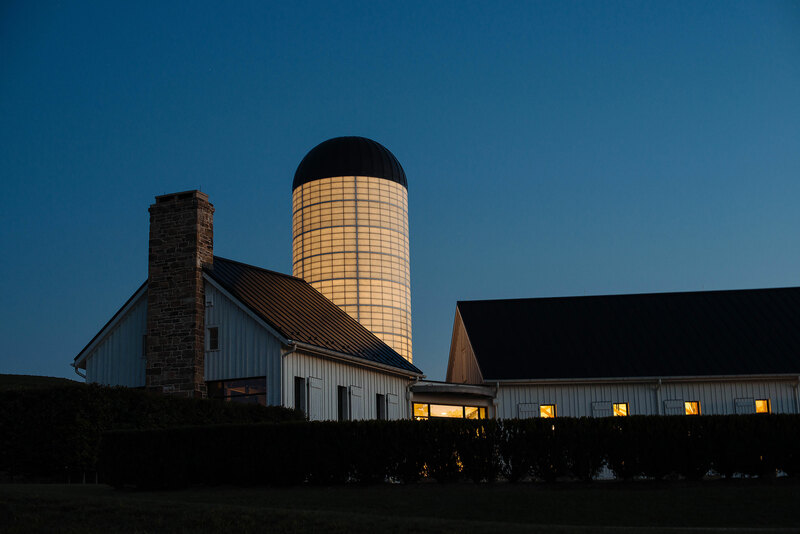 Rutger’s son, Gus, came up with this name, which references the seven silos from adjacent farms that dot the rolling landscape. Each of the vineyard blocks has been given a name that has some significance to the RdV team. 8:40 AM Rutger and Joshua take a break for their daily run along a winding section of the Appalachian Trail near the vineyard. 10:25 AM Rutger returns to the fields to collect more samples, this time with Jarad Slipp, RdV Estate Manager (right), and Joshua. 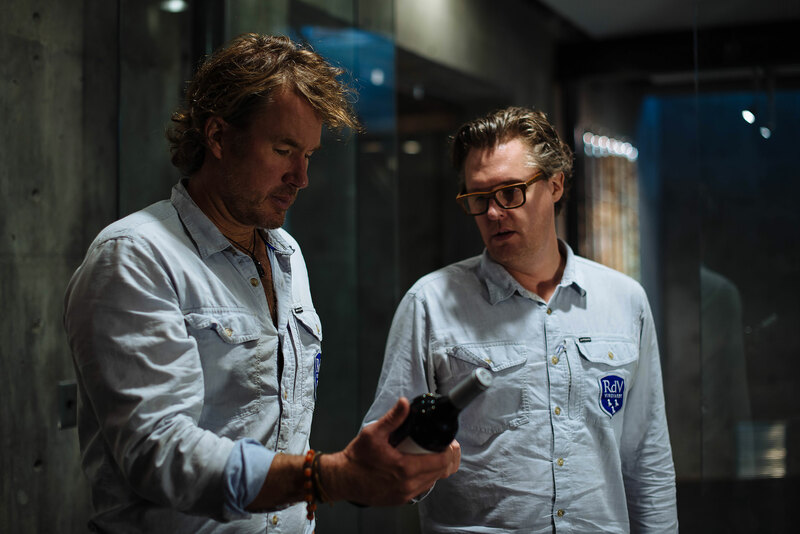 Rutger and his team examine the color of the grapes and taste for sweetness and suppleness of the skins. 11:13 AM Down in the lab, Joshua performs a chemical analysis (measuring the sugar content, alcohol content, and acidity) that will help inform picking decisions. 12:30 PM Rutger is back at the tanks again (the second of three times he will touch the grapes during the day), this time involved in a labor-intensive process known as punch-downs. He and Joshua use a long handled tool to push the floating skins down into the vat, another method that extracts color and flavor. 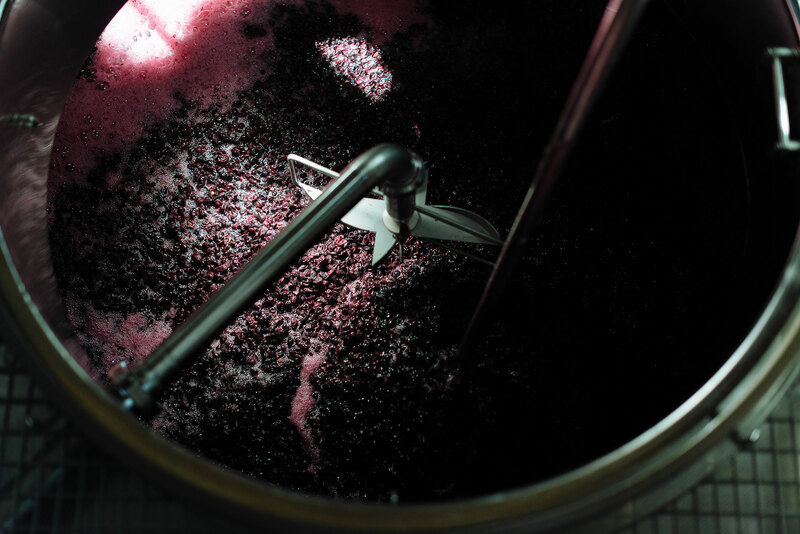 The view down into the vat filled with the newly fermenting grapes. Rutger takes a sample of the grape juice, called “must,” to analyze. He and Jarad have a quick conversation about the wording on the wine labels. 12:10 PM Lunchtime preparations begin in the RdV kitchen. 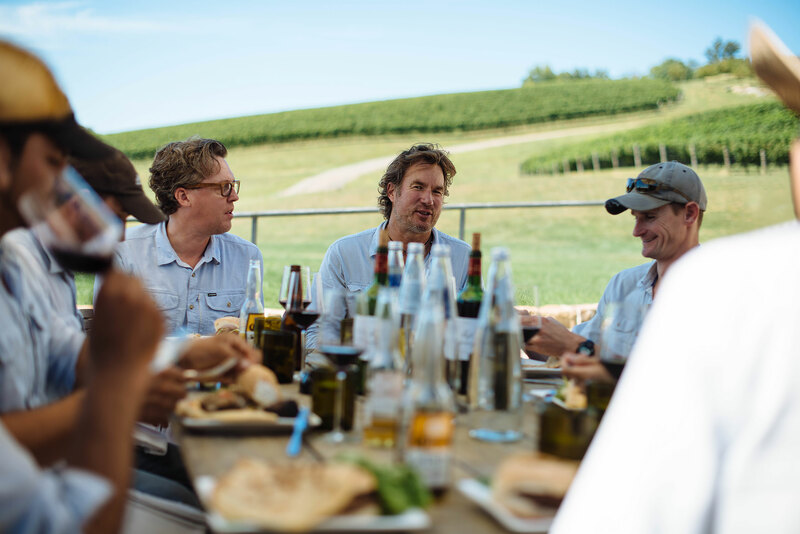 The long-standing tradition at the vineyard is to gather the entire team for Friday lunches. 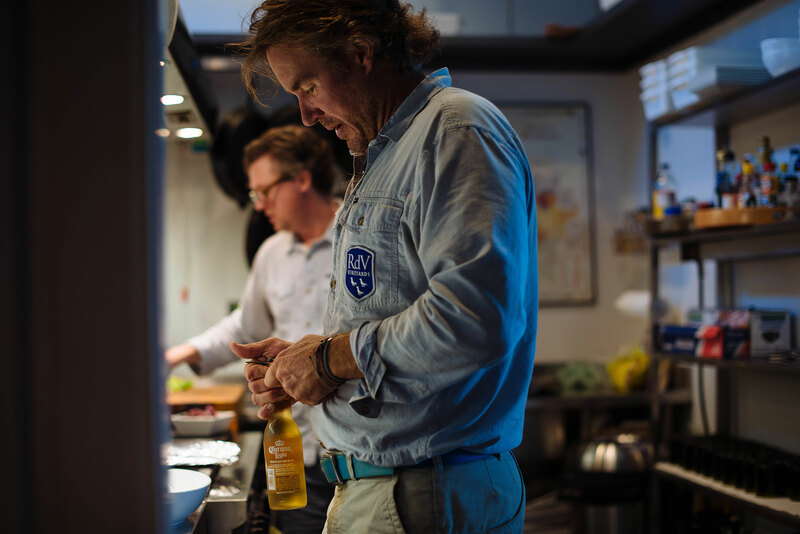 Although Jarad is frequently the one who ends up in charge of meals (in addition to being a Master Sommelier, he is a graduate of the Culinary Institute of America), everyone takes turns making lunches for the group. 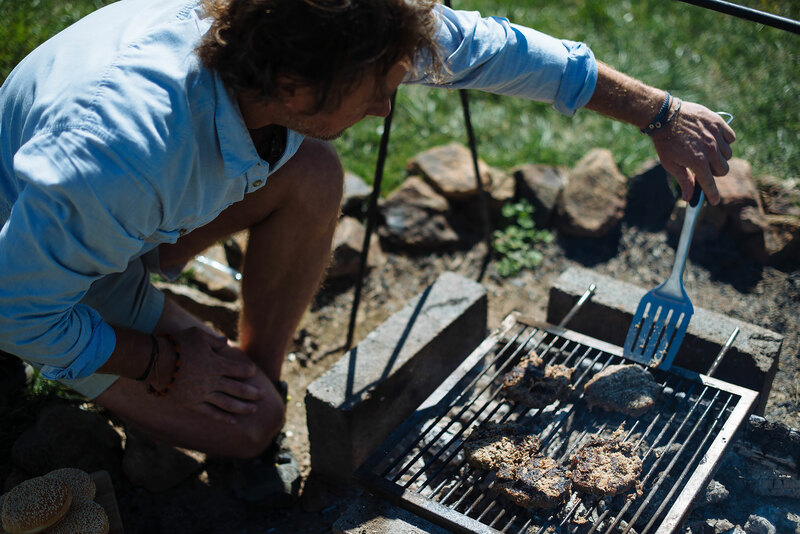 Grilling lamb burgers over the fire pit. 1 PM Leisurely lunch with the crew. 2:30 PM Discussing social media and marketing strategy in a team meeting. 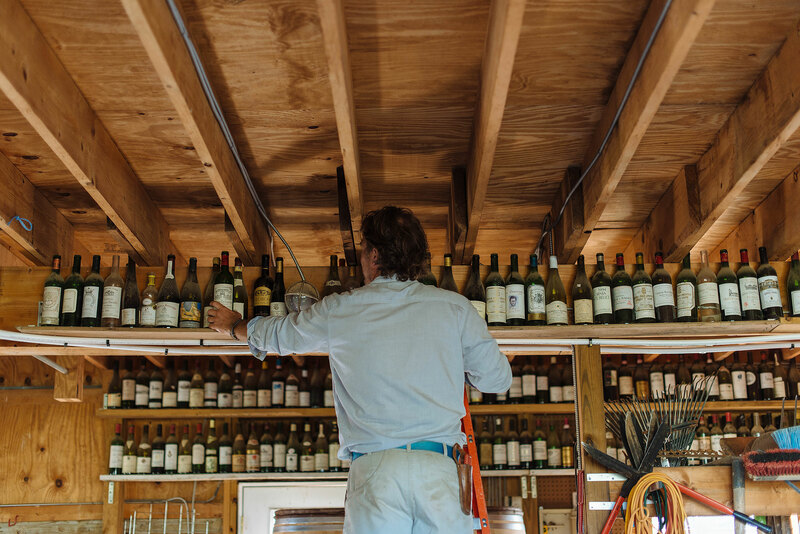 4:45 PM Down at the barn, Rutger straightens up and adds some bottles to the collection. The walls are lined with hundreds of bottles—a gallery of memories and conversations from past meals and gatherings. 3:15 PM A quick visit to the house to check on progress. 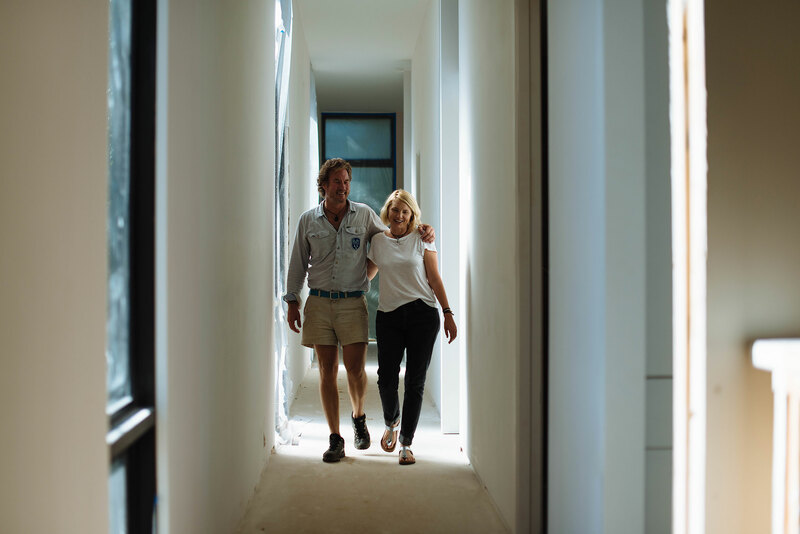 Rutger and his wife Jenny are in the midst of building their new home on the RdV property. 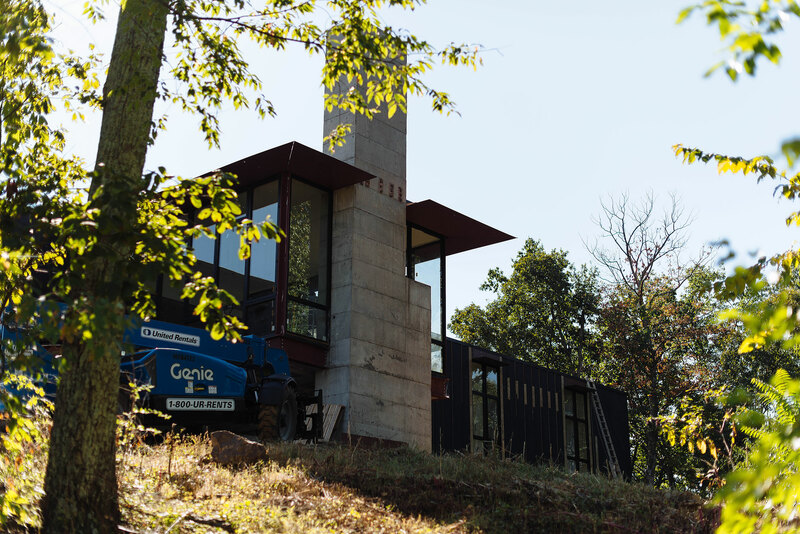 The structure, designed by Seattle-based architect Tom Kundig, will have ample room for themselves and their four teenage children, and for frequent entertaining. 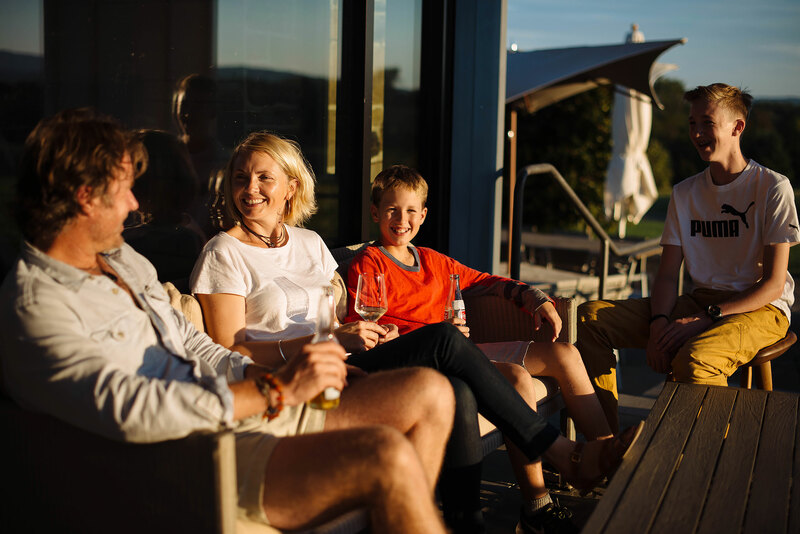 Rutger and Jenny step out onto the balcony that overlooks the vineyard. Rutger and Jenny walk through the still unfinished hallway. 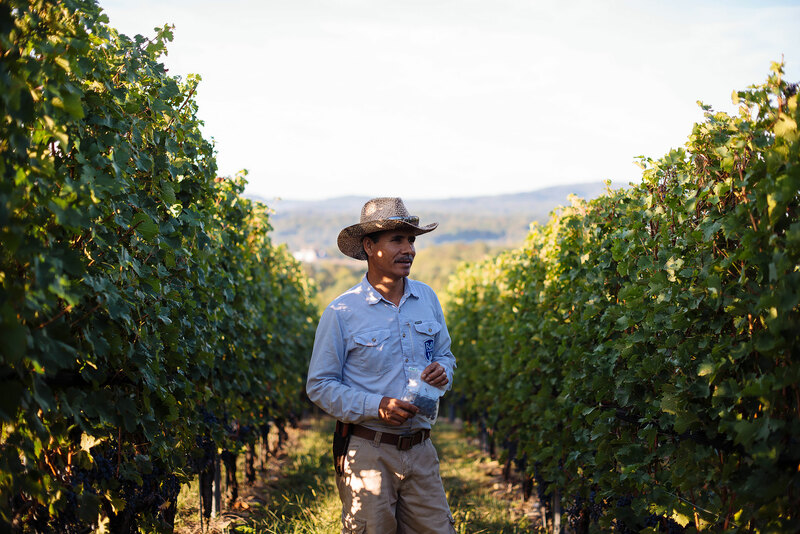 In addition to raising their children together, they work together on a daily basis at the vineyard. 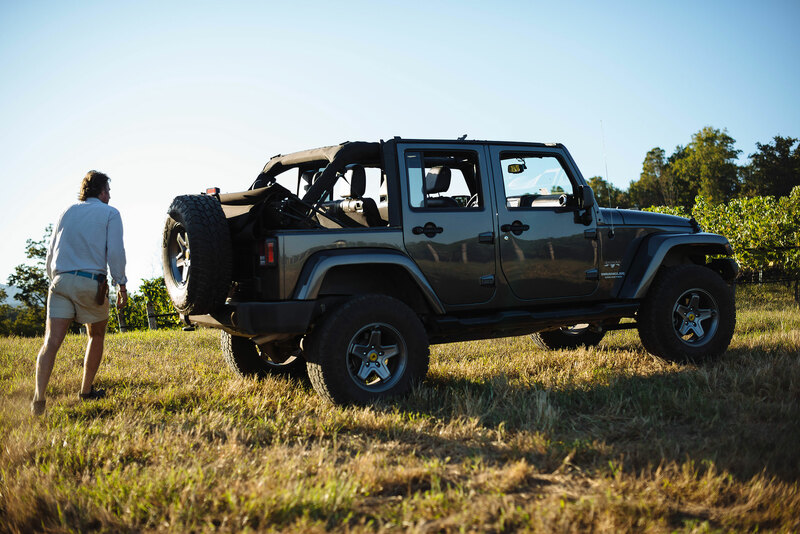 5:45 PM Rutger makes the rounds at the vineyard in his Jeep. 6:18 PM The family hangs out together for a few moments at the end of the day. Lauren Hassani is a designer, writer, and Editor-in-Chief of The Outlier. 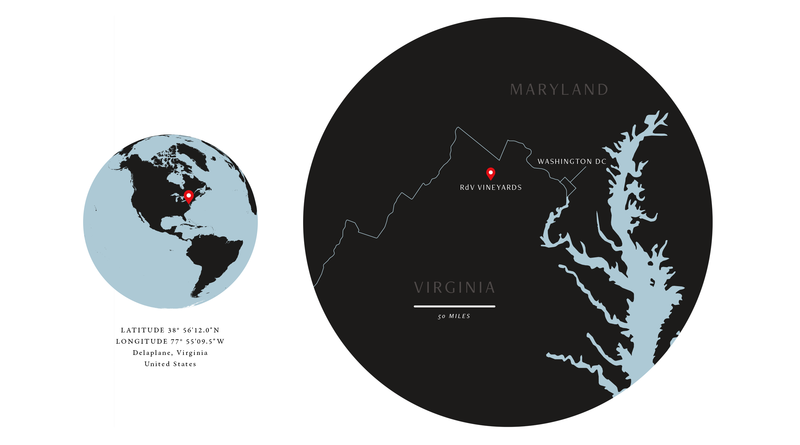 Previous Where in DC is Tom Sietsema?